Emergency/Rescue CD/USB. A good way to diagnose and examine computer problems. Bootable ISO for CD and USB stick. Note: Although this tool is already five years old, it can be useful for computers with Windows XP, Windows Vista and Windows 7. 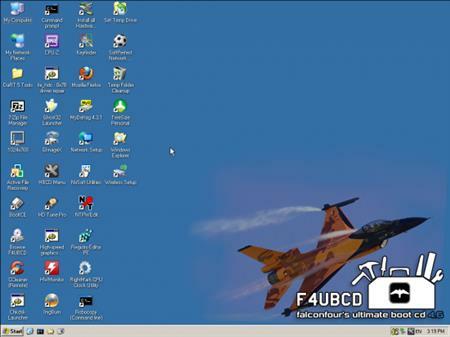 If F4UBCD doesn't work or for Windows 8.1 and Windows 10 computers you can use USB WinPE10 or Hiren`s BootCD WinPE10 Premium Edition, which are brand new tools. Changes in v4.61: some minor improvements.